You must be a member of the Budapest Live Concerts Group to attend this activity. Would you like to join this group? 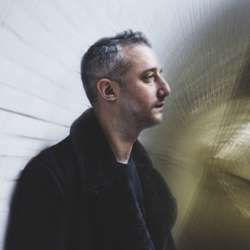 A contemporary composer-pianist, who has on Spotify more than 30 millions of listenings and whose songs are featured on Protected content James Heather is one of the most popular authors-performers of the online world of music. The latest discovery by Coldcut and Ninja Tune had his debut at Glastonbury festival where he accompanied Laura Marling and his conpositions brought him an enormous number of new fans.